Download the first 3 chapters FREE from this site, then purchase the full eBook at BigWorldNetwork.com or Amazon for only $3.99. World-weary combat veteran, Major Tammy Fuller, from a small group of female Special Forces, has been battling inner demons from a past mission for years. A chance encounter changed the course of her life, bringing her to an inner city church where new and old enemies await her. 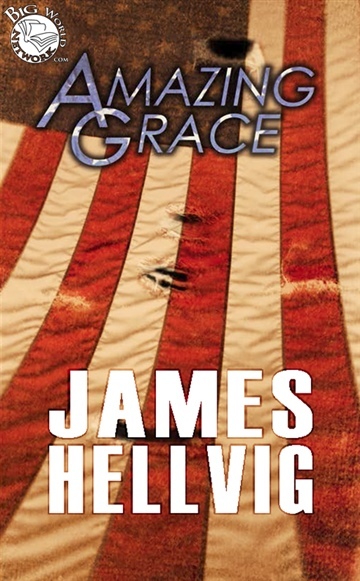 James Hellvig is a freelance writer, he writes for many online publications and his dramatic action novel Amazing Grace is published by BigWorldNetwork.com. He is a member of The Writers Center and coauthored KKR Kenpo with professor Steven Patton. His published short works include, A Season Remembered and The Obedient. Born in the mid west he currently resides in middle TN. with his family and soul mate.